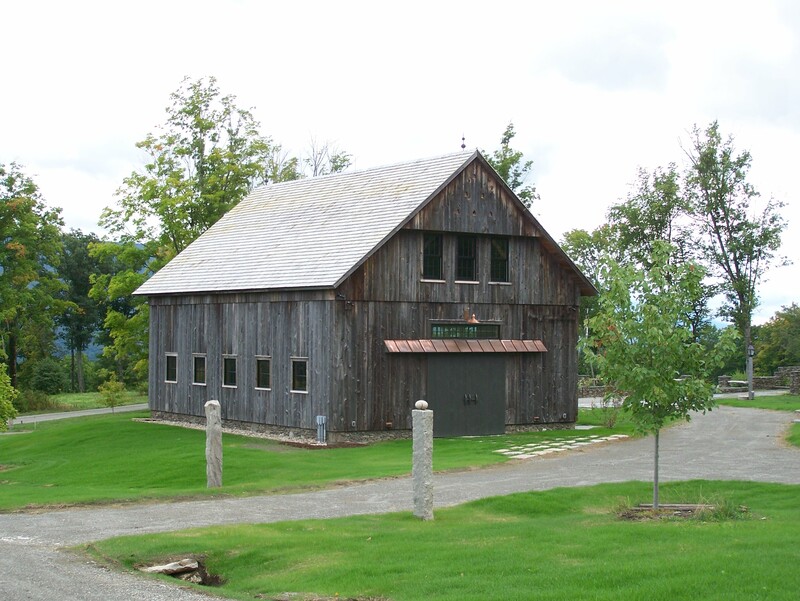 We finished work on this beautiful barn in Manchester, VT back in 2013. Since then the owners sourced particular stone for the finish landscaping and the final results are evident in the following pictures. 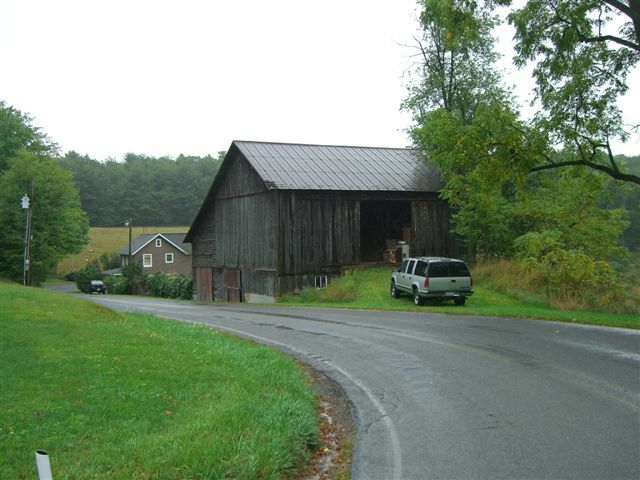 The barn is from Middle Granville, NY and was originally built around 1800. 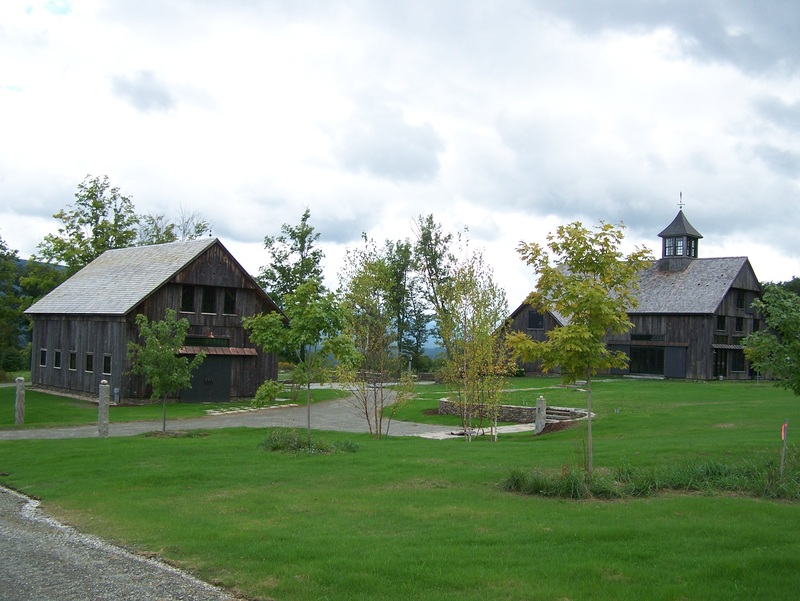 The current family wanted a timber frame barn to match their Green Mountain Timber Frames barn style home. 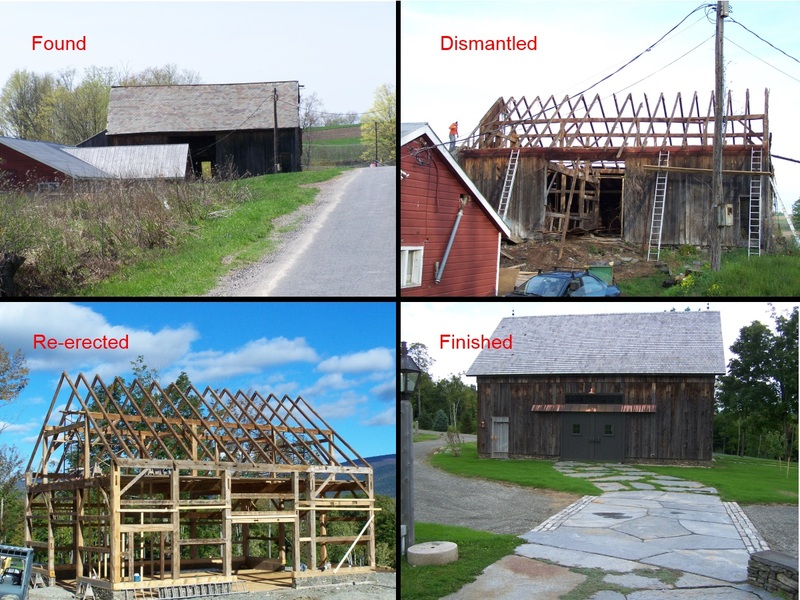 In the pictures below, you can see the process and transformation that this barn went through. Another aspect of this frame was working with and restoring the truss girt system. Not typical of a frame from this time period, this type of truss girt system means that two large timbers are joined together in the middle with a small connecting post and braces. This allows there to be no post in the middle of the frame thus having a clear 31 foot wide space to use with no posts to bump into. Below, you can see the process we used to restore this truss girt system. Part of this restoration project entailed finding “new” siding for the barn. I love doing this kind of work! It’s so much fun to put together the siding – a sort of puzzle. This first picture shows the source of siding, another barn in NY state. The siding was for sale and we seized the opportunity. 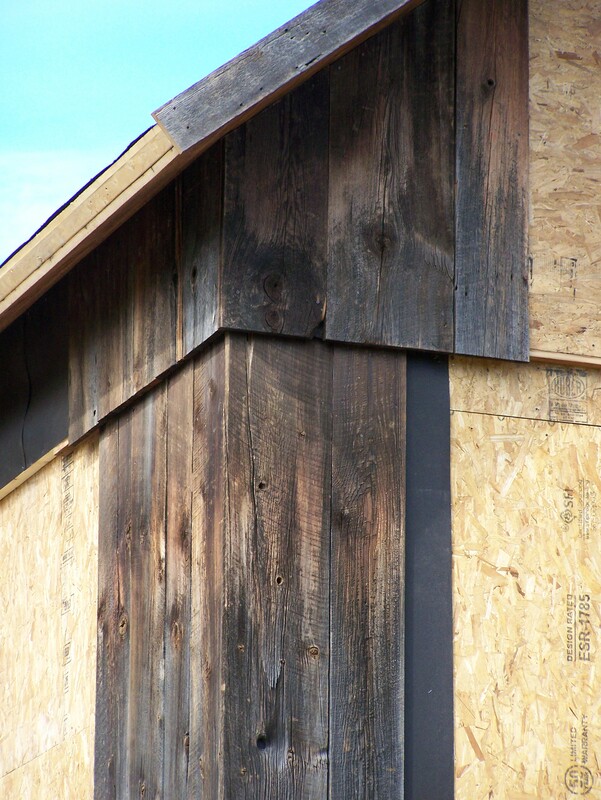 The next step was to sort through the siding and try to find the best – most attractive – way to apply it in its new location, factoring in the existing lengths of boards. 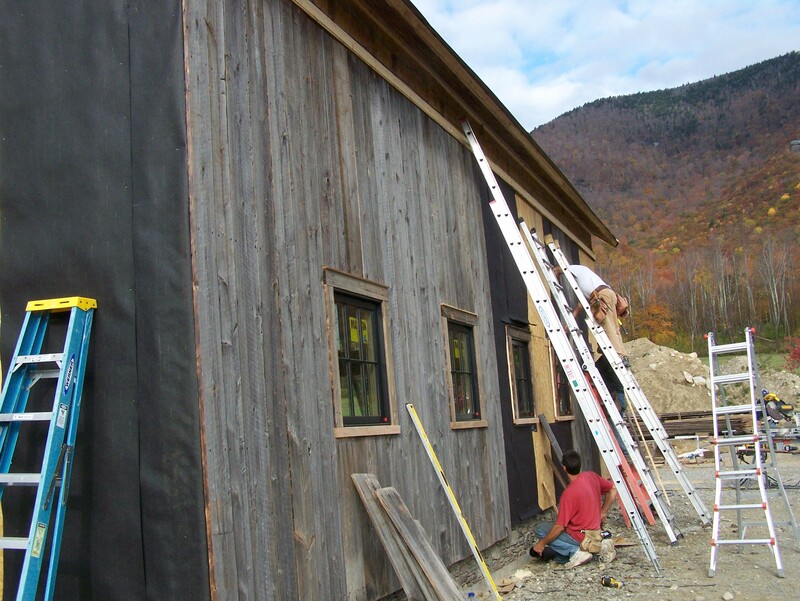 When applying the siding on the restored barn, we blended the colors together. We varied the use of different boards and different colors to give the best final look. The siding had this light to dark shading effect that we were able to capture again. 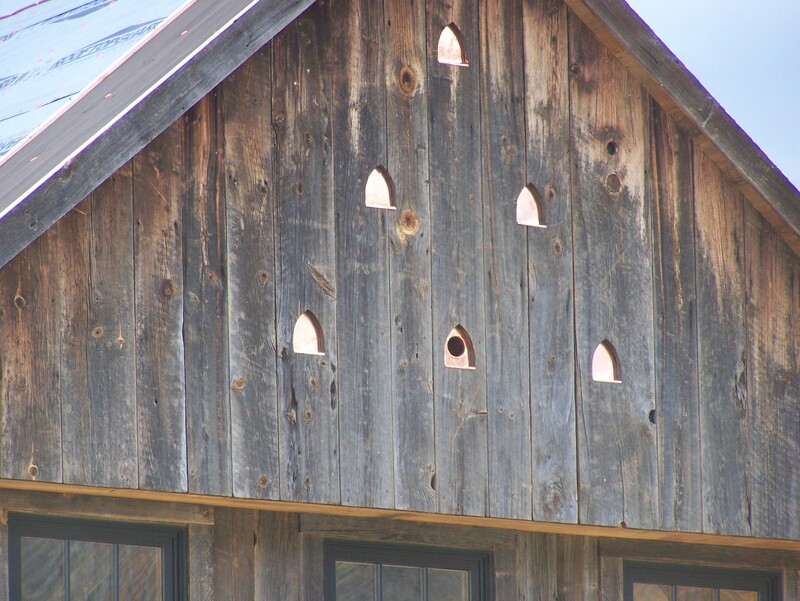 The cutout with the hole is sized to invite in a kestrel hawk. The remainder are decorative. In the sorting process, we discovered this star emblem. We saved it for interior use as a piece of folk art. Anyone know the significance of a star? Below – the finished project! The look of an 1800s barn, but now the barn is restored and in beautiful condition for another 200+ years. This is a rare frame to have no mid-span support posts on the 31 foot width. I was told it was a German style. Anyone know more about that? I am always looking for new projects! 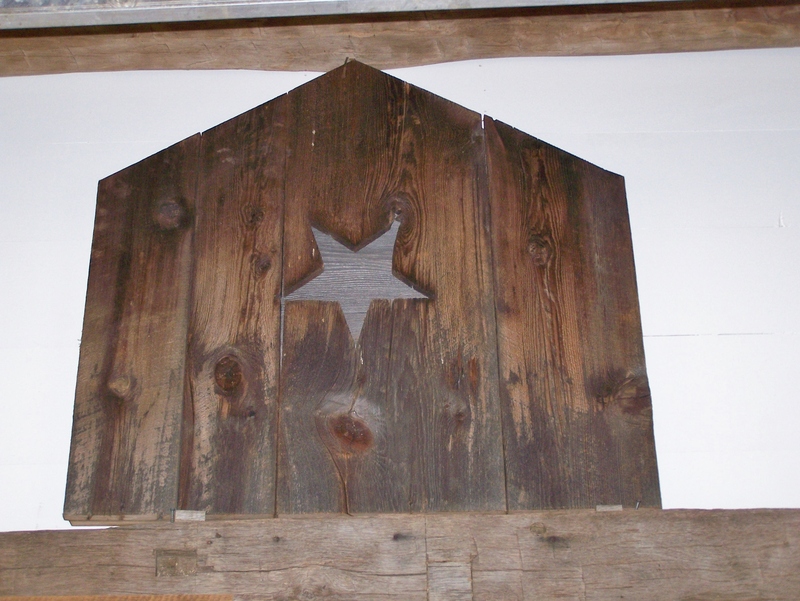 Do you have a barn you want restored? Do you want to live in a historic timber frame? 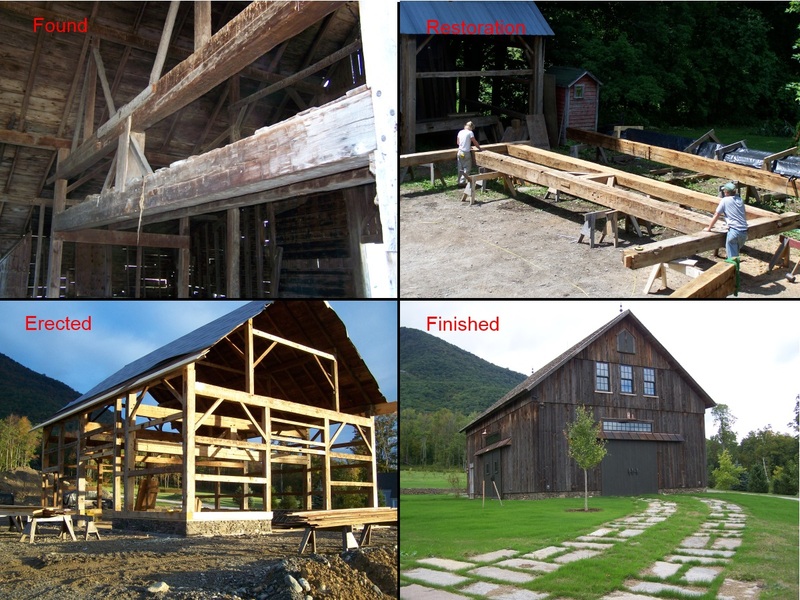 This entry was posted in Barn Raising, Green Mountain Timber Frames, Post and Beam, Timber Frame Projects by Green Mountain Timber Frames. Bookmark the permalink.